​Sergio Aguero is Manchester City's all-time leading goalscorer, three times a Premier League winner, and scorer of one of the most memorable goals in the history of English football. Despite these achievements, there are few people who consider Aguero the greatest Premier League striker of all time, with Alan Shearer, Thierry Henry and Wayne Rooney often named ahead of the Argentine. However, with his hat-trick against ​Arsenal on Sunday, ​Aguero brought up a statistic which proves that he deserves to be a part of that conversation. It was his tenth league treble for ​Manchester City, meaning that only Shearer has taken home the match ball on more occasions in the Premier League era. Aguero's latest goal glut means that he now stands alone in second place, with Robbie Fowler dropping to third with nine hat-tricks. Henry is joint fourth with eight, alongside Michael Owen and ​Harry Kane. Aguero's first hat-trick came on his fourth Premier League appearance against Wigan in September 2011. He had to wait over three years to score another, but ever since then he's bagged at least one hat-trick every season. On three occasions he went beyond three goals, scoring four against ​Tottenham in 2014 and against ​Leicester in 2018, and hitting five against ​Newcastle in 2015. 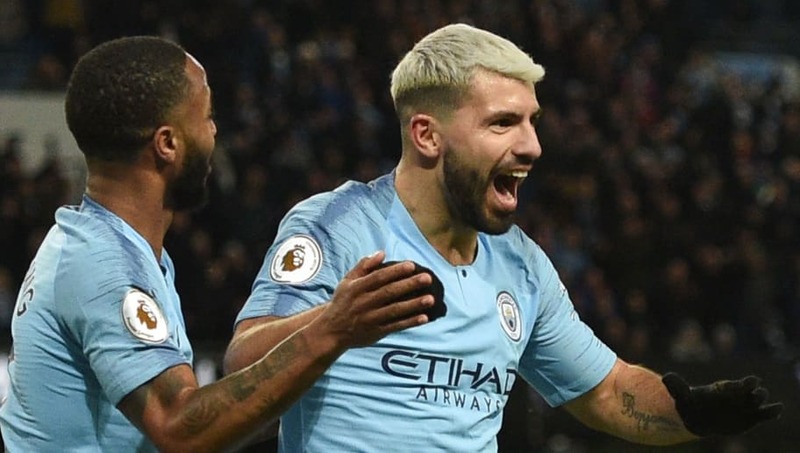 Sunday's goals also continued Aguero's superb recent record at the Etihad Stadium, where he has contributed to 27 goals (scored 22, assisted five) in his last 15 home starts. Amazing to think that Aguero has never won the PFA Player of the Year award. Could this be his year?